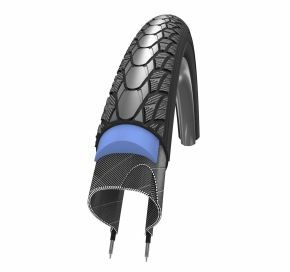 Fitted with a Kevlar insert the tyre will stop a sharp object up to 5mm long from puncturing the inner tube. This unique Black'n'Roll compound leaves no unsightly black marks on indoor floors. Also has a completely smooth hand-friendly 2Grip side wall. 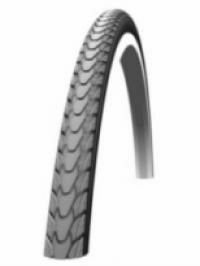 Hi Thanks for acting on my previous review regarding one of the defective inner tubes.A replacement was posted to me same day.Impressive! Great customer service.Andrew Peat. Excellent. Painless ordering & speedy delivery.